The most awarded “dream team” of documentary talent in decades CRADLE OF CHAMPIONS captures the epic story of three young people fighting for their lives in the oldest, biggest, most important amateur boxing tournament in the world: New York’s Daily News Golden Gloves. CRADLE OF CHAMPIONS follows three extraordinary, inspiring individuals—James Wilkins, Nisa Rodriguez, and Titus Williams—on an urban odyssey through a ten-week tournament, founded in 1927, that has produced more professional world champions than the Olympic Games. Telling a compelling story of dreams, heartbreak, and redemption, the result is a unique work of art. 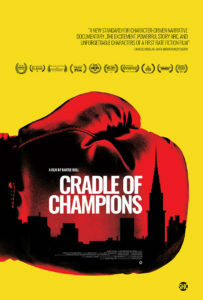 CRADLE OF CHAMPIONS is edge-of-the-seat drama with the polish of a Hollywood feature film and the intimacy of a gritty cinéma vérité classic.CRADLE OF CHAMPIONS Director Bartle Bull is a noted author and journalist who has written for the New York Times, Washington Post, Wall Street Journal, and Financial Times. He joins us for a conversation on his desire to document an iconic sporting event that is teetering on the edge of extinction and the community that continues to support it. 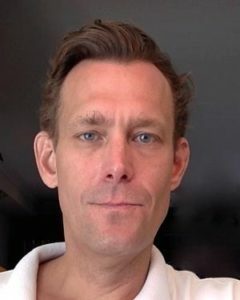 This entry was posted in documentary, drama, Film Festival, Film School interview, Indie, iTunes, Sports by admin. Bookmark the permalink.